In the 18th century, Silver Lake was a quiet, rural area, part of the town of Johnston, with most residents living on farms. The character of the neighborhood changed significantly after the extension of the Plainfield Street trolley line in 1882; additional lines were added over the next two decades, making the area much more accessible to workers from nearby industrial areas. The neighborhood developed its current dense character as an influx of new residents flooded in from neighboring Olneyville, mostly settling in multifamily homes built on grids of streets parceled out from old farmland. In 1898, the city of Providence annexed portions of the neighborhood; the remainder of Silver Lake became part of Providence in 1919. 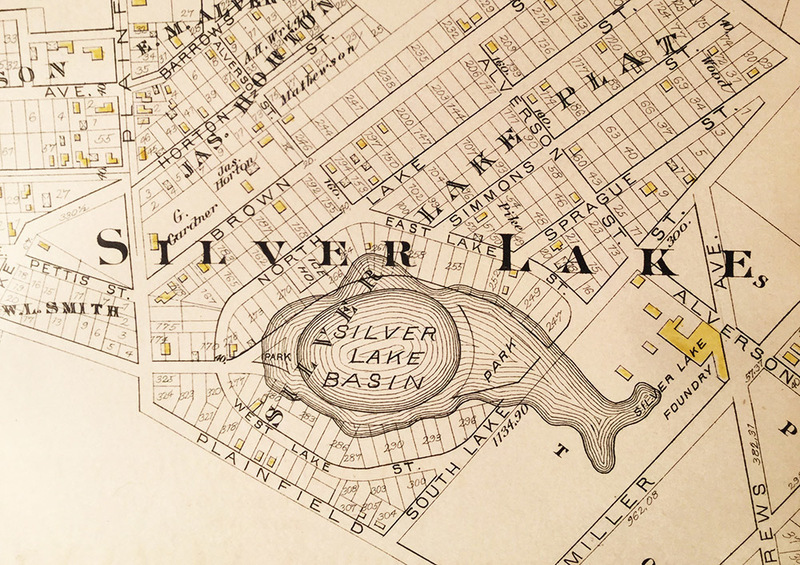 Unbeknownst to many modern residents, the neighborhood of Silver Lake was, indeed, named after a lake (although we can't verify its historic silver-ness). The lake's basin was near the foot of Neutaconkanut Hill and was a popular site for outdoor recreation. One older resident, in a 1934 letter to the editor, reminisced about a "smooth body of water with blue blue waves dancing, where we used to boat and fish and swim, where they cut ice in winter," and lamented its conversion into "a dump of old automobile bodies and the offscouring of the edge of a big city. Sometimes they even bury the city garbage there when the incinerator gets choked." The Plain Farm that occupied the area, including the lake, was platted out for development in the 1850s. An early development plan imagined a garden-style suburb, with streets curving gracefully around the water. Looking carefully at a modern map, one can see ghosts of the initial plan, with Sibyl Street and Mercy Street still arcing around a no-longer-present shoreline. However, the plan never came to fruition, as the neighborhood developed, newer, dense housing stock for the flood of workers and Italian immigrants emerged. The lake was dredged, and later filled in. 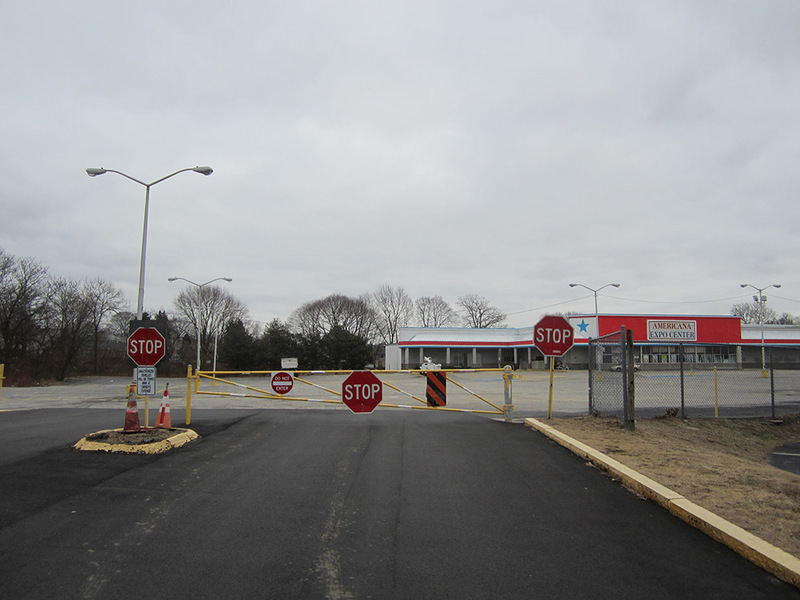 The former lakebed was turned into a shopping center and extensive parking lot; for many years, it was home to an Almacs supermarket. As of 2019, it is home to the Americana Expo Center, which holds a lively weekend flea market, with cars and vans parked across the surface of the former Silver Lake, families strolling its now-paved surface. 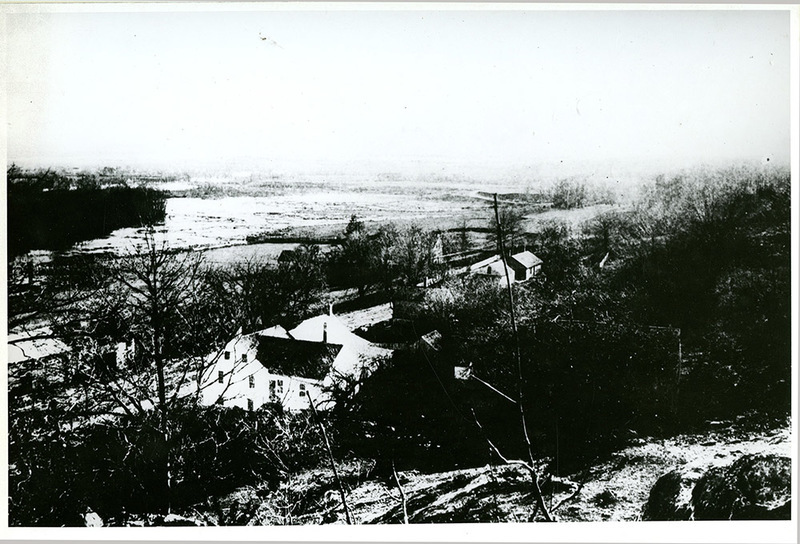 View of Silver Lake from Neutaconkanut Hill: This photograph of Silver Lake appears to show the flat surface of the lake, before residential development spread throughout the neighborhood. ~ Date: Unknown, Before 1918. Providence's Silver Lake neighborhood is named after an actual lake that once sat at the foot of Neutaconkanut Hill. Look out over the former Silver Lake by visiting Neutaconkanut Hill Park. From the parking lot, follow the Pond Trail and look to the east. Angela DiVeglia , “Silver Lake Basin,” Rhode Tour, accessed April 23, 2019, http://rhodetour.org/items/show/340. "Changes at Silver Lake lamented by old-timer." The Providence Journal, June 17, 1934. "Olneyville pressure, streetcars pushed Silver Lake growth." The Providence Journal, Dec. 30, 1987. Providence neighborhood jubilee festivals: Silver Lake/ Annex/ Hartford. Providence: Old Stone Bank, 1986.